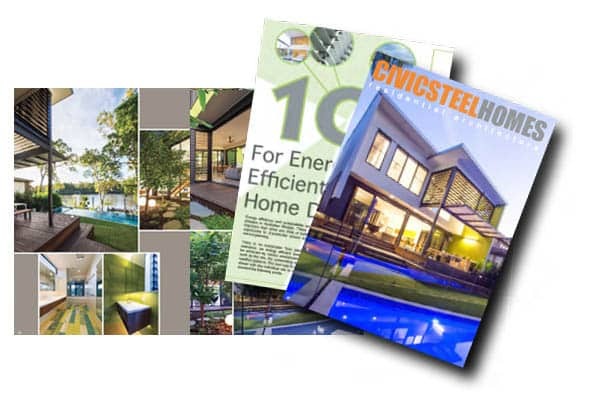 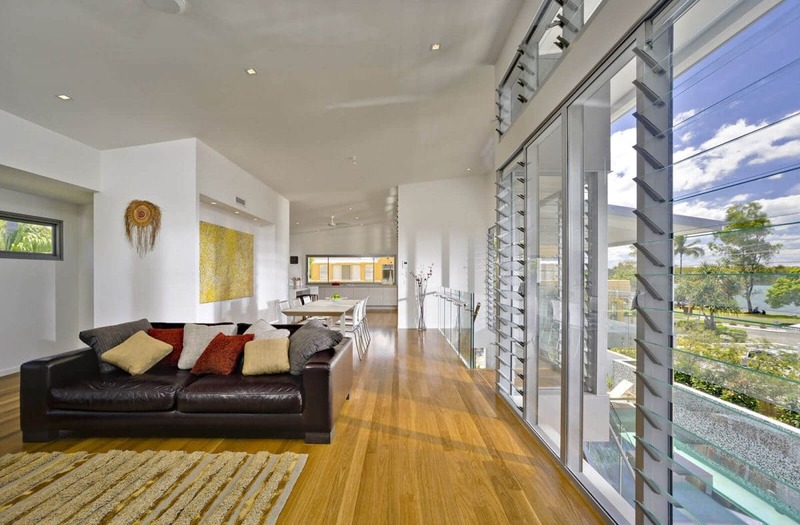 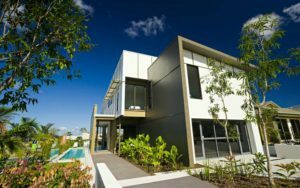 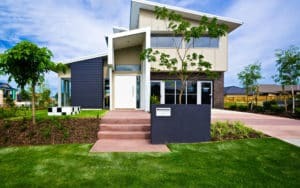 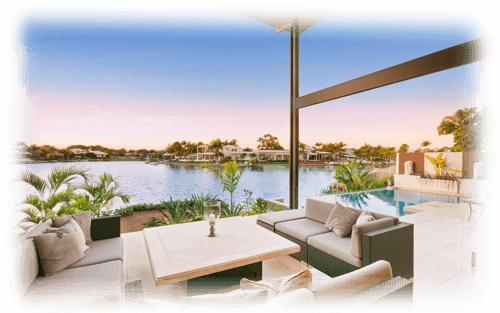 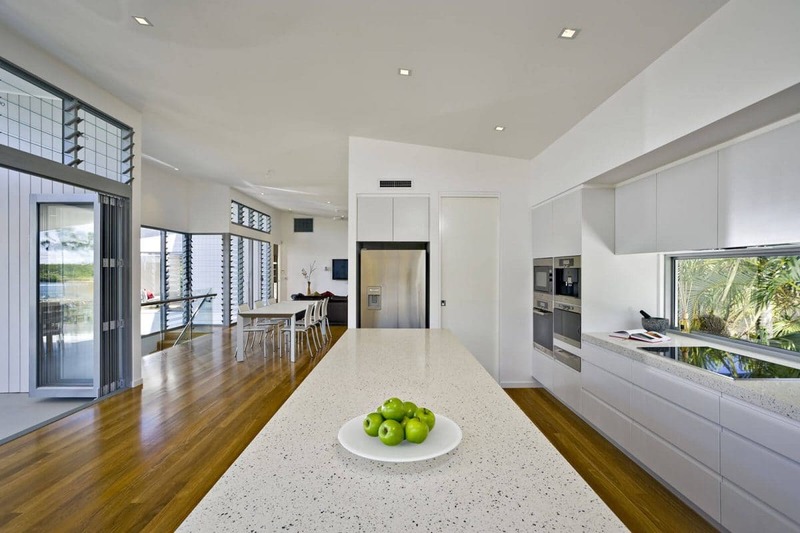 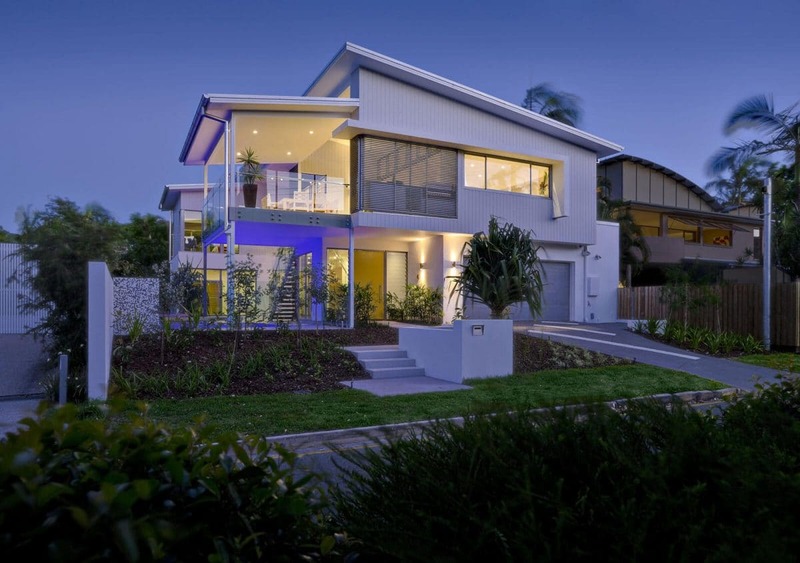 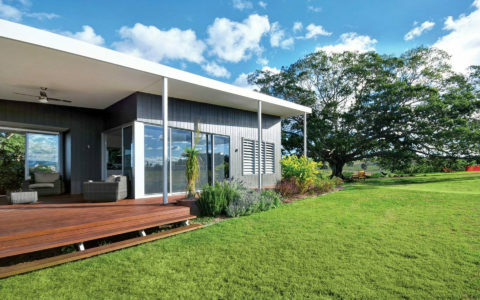 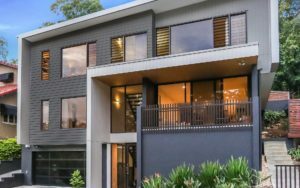 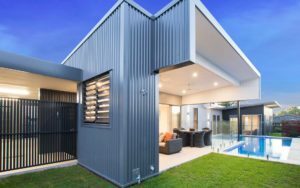 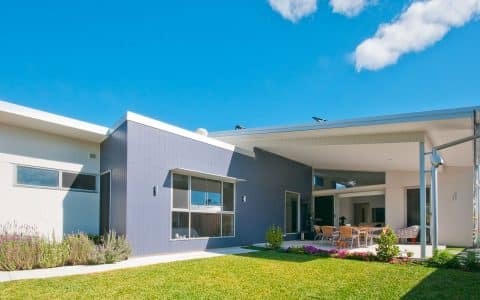 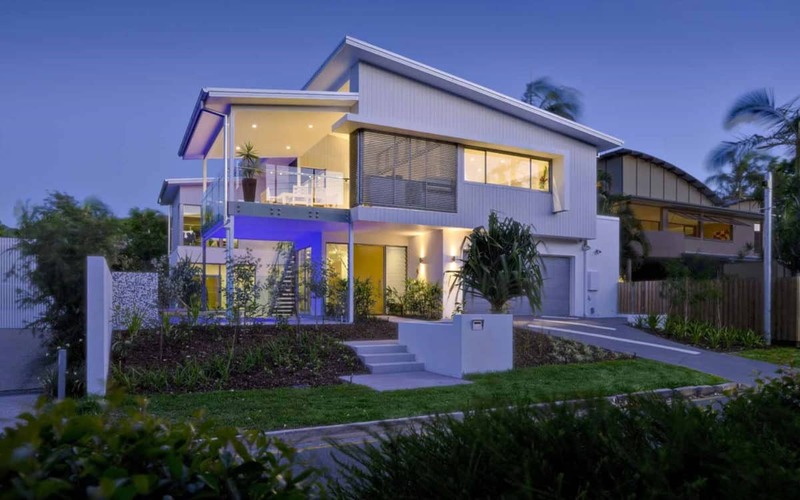 "River breezes, open living, elevated river vistas and private courtyards, all with a focus to the North – these are all to be taken in by this Noosaville elevated home design." 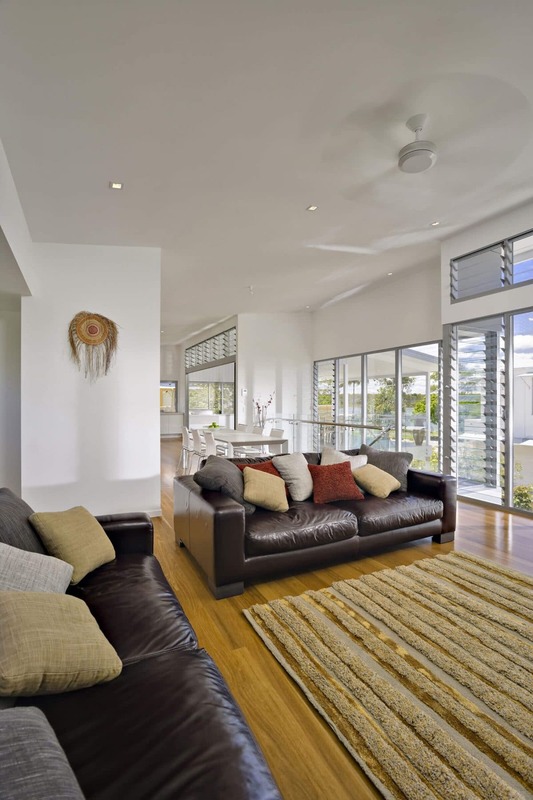 Living areas are full of natural light and all take in the magnificent river views – a clean and practical solution to a perfect location. 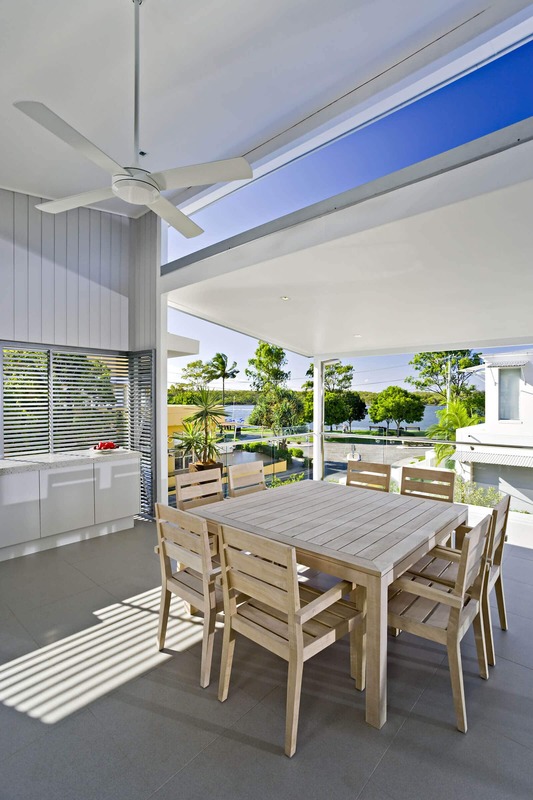 The external staircase from the deck allows easy connection between the upper level and the courtyard through to the lower family room, thereby enhancing the relaxed sub-tropical lifestyle. 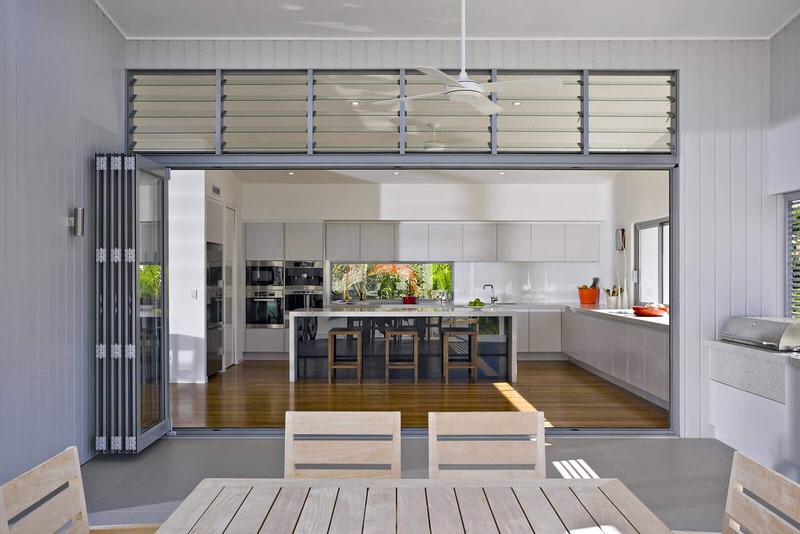 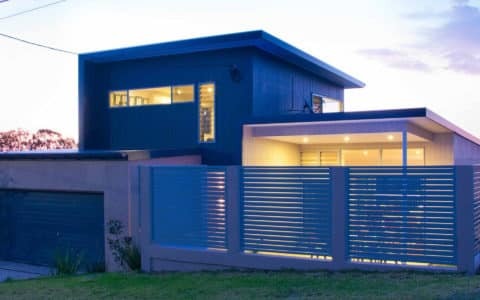 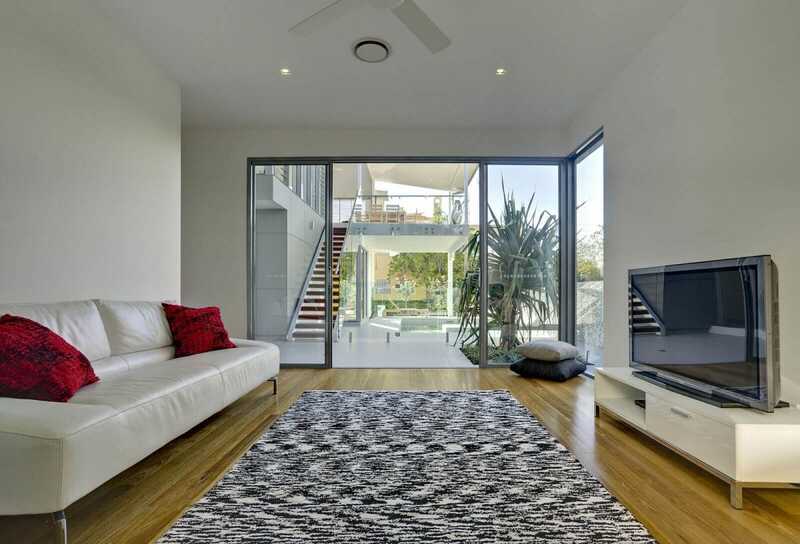 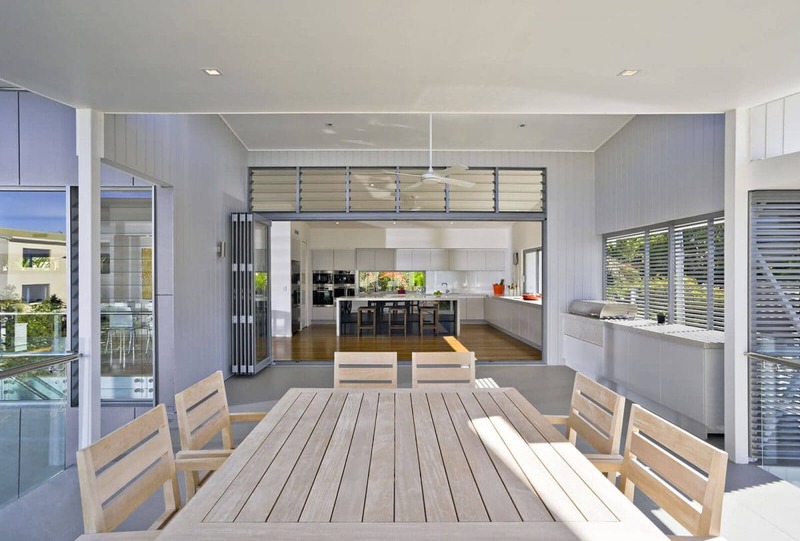 Customised screens provide visual privacy between the street and upstairs BBQ area. 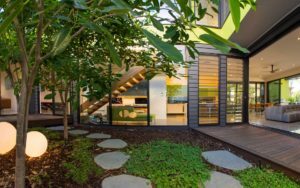 The private courtyard with lush landscaping surrounding the pool is the visual oasis of the home, and north facing windows allow light to fill the clean-lined interiors.